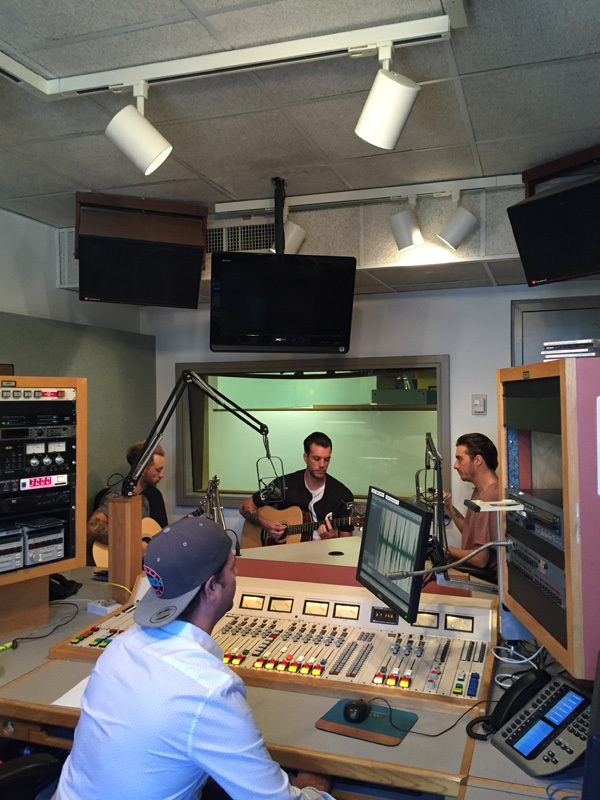 Acoustic performances, album releases, and pizza for all. 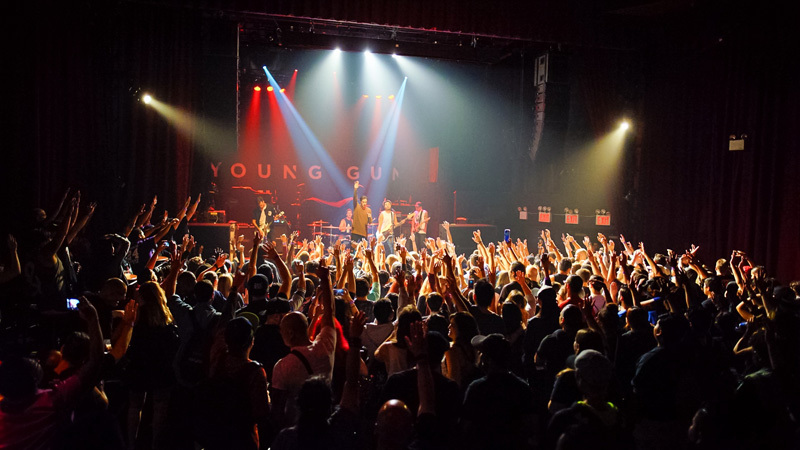 British alternative rock band Young Guns are very busy these days. 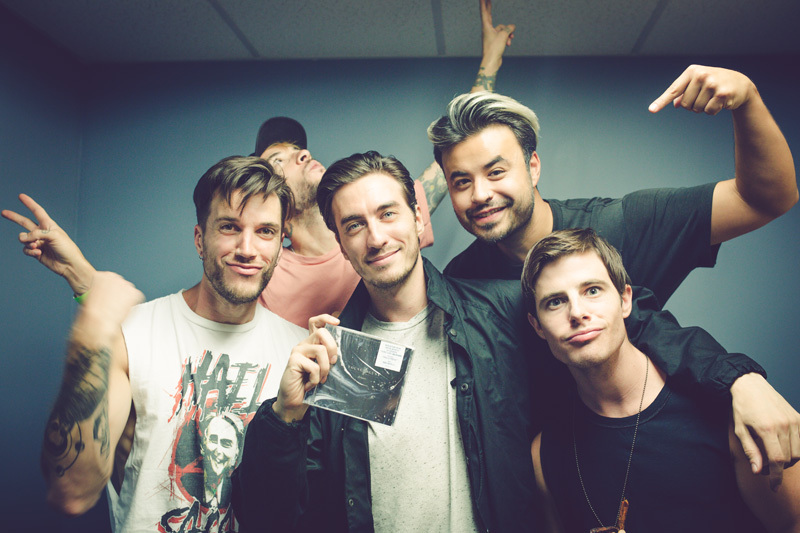 With a packed tour schedule, pizza to devour, and an album coming out, there’s no slowing the quintet down. 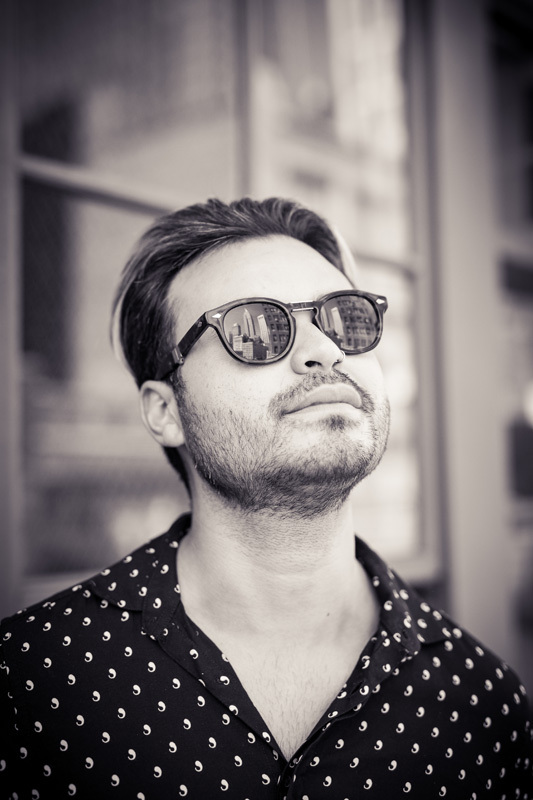 Since the recent release of their fourth album Echoes, the rockers have been playing festivals and gigs and running all around the United States and Europe to share their new songs like latest “Bulletproof” and “Mad World” with their fanbase. 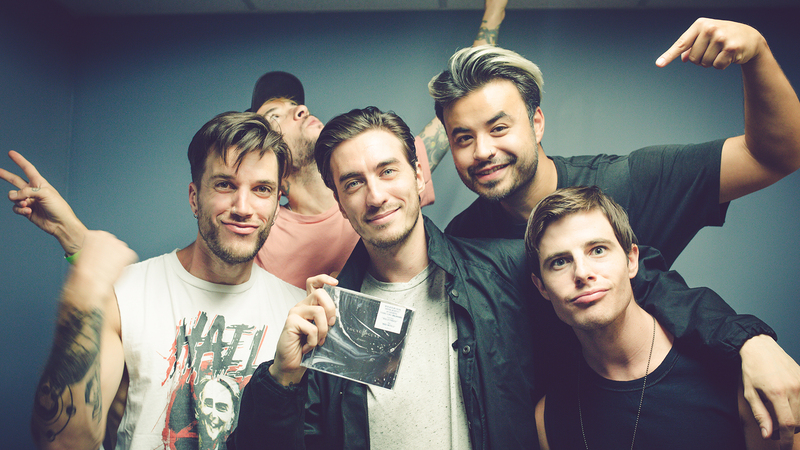 Gustav Wood (vocals), Fraser and John Taylor (guitars) and Simon Mitchell (bass) were kind enough to give us an exclusive behind-the-scenes look at their first-ever US headlining tour—including their album release week in New York City and travels up and down the East Coast! 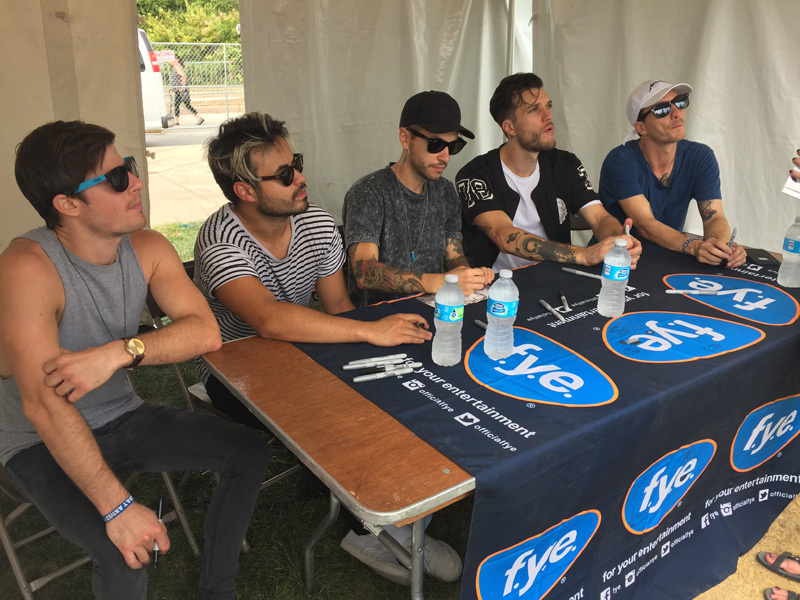 Check out the photos below and Track Young Guns to see when they're coming to your city! We arrived in New York for a day of press before the tour kicked off. 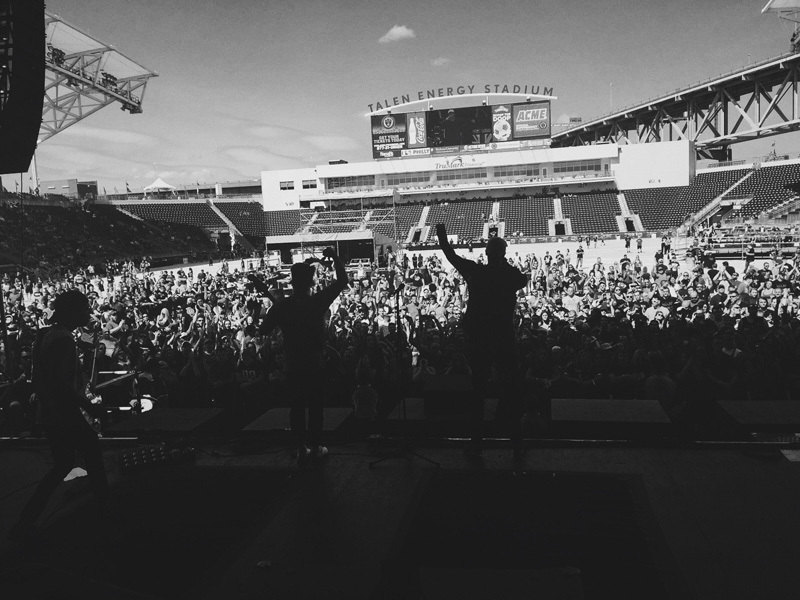 We’ve spent so much time in this city as a band that it almost feels like a second home now. One of our stops was directly above Madison Square Garden at the Gunz show to chat and play an acoustic version of "Bulletproof" for the first time. 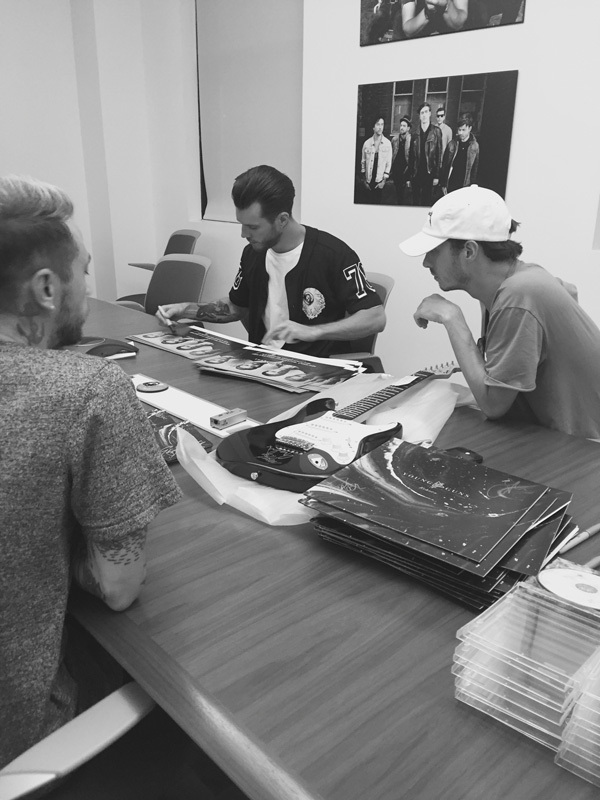 Our final job for the day was to sign a bunch of Echoes vinyls and CDs for special preorders and competitions. It was the first time we got to see the artwork and physical copies. That never gets old! The following day we headed to Poughkeepsie for the first headline show of this run. We completely forgot about the time difference and suddenly realised we were getting loads of messages from people in Europe listening to the album. Echoes was finally out there! We headed back to NYC for a show with Of Mice & Men to help them celebrate their new album release. We were recording in the same studio at the same time so it was nice that we could share the moment. 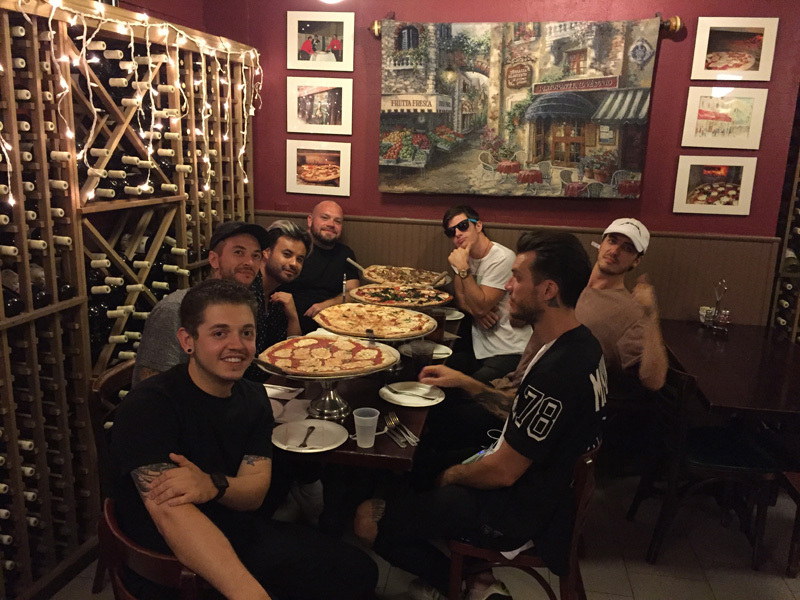 We couldn’t leave New York without hitting up our favourite pizza spot. This tour is a bit of a mix of support shows, headline shows and festival appearances. First up on the festival front was Rock Allegiance. We played an early set but the crowd brought the energy. Unfortunately some of our shows with OMAM were cancelled due to illness so rather than sitting around we searched out some waterfalls an hour or so outside of Nashville. Looking forward to getting back to the shows tomorrow!